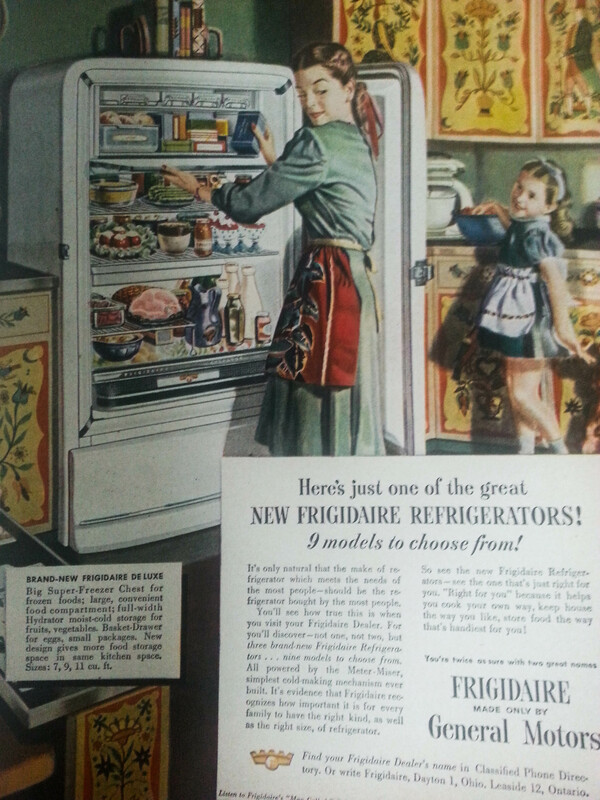 This post is a part of TMP’s Historical Context series, where I share excerpts from my vintage publication collection. 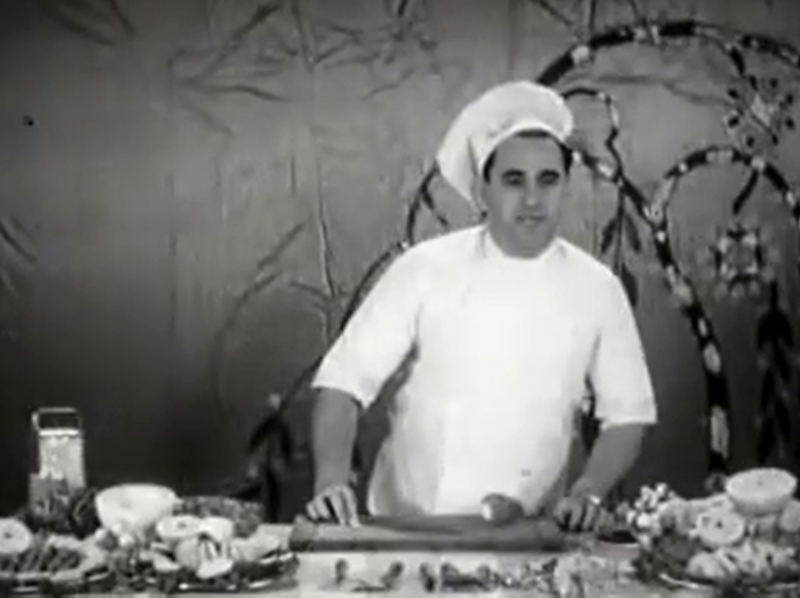 While browsing TCM’s streaming service in May, I came across a short film called Delicious Dishes from 1950. This short has a food “expert,” chef Arnold Morris, demonstrating how to use newfangled tools such as the cheese grater and a potato slicer and sharing recipes that the tools can be used in cooking. This short appears to have been an advertisement played at theaters. The chef begins by saying that women who attend the theater will be given one piece of cutlery each week that they attend, adding up to twelve pieces of cutlery for a full set. Kitchen freebies as an incentive for homemakers to make time for movie-going – what a novel idea! He then goes on to show how to use each of the twelve tools (with a very strange narration style and lots of mentions of chopped-off fingers and ripped knuckles). Delicious Dishes is a fun, quick watch (twelve minutes) for those interested in midcentury advertising or daily life. While Morris’ narration is at times unintentionally humorous, the style of the short is very dry and informative, nowhere near as flashy as what ad agencies cook up to get people’s attention nowadays. You can watch a low-quality version of Delicious Dishes on YouTube. As those of you who have visited TMP regularly know, I’m a collector of vintage magazines, books and pamphlets. 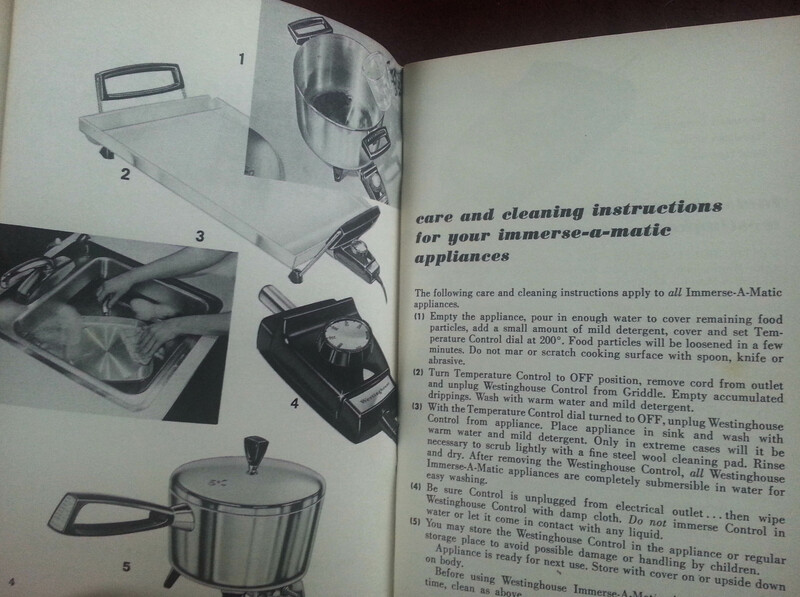 One of my favorite types of midcentury ephemera to collect are the small recipe books that were released along with the invention of new kitchen tools, to teach the owners of these new time-saving wonders how to make good use of them. 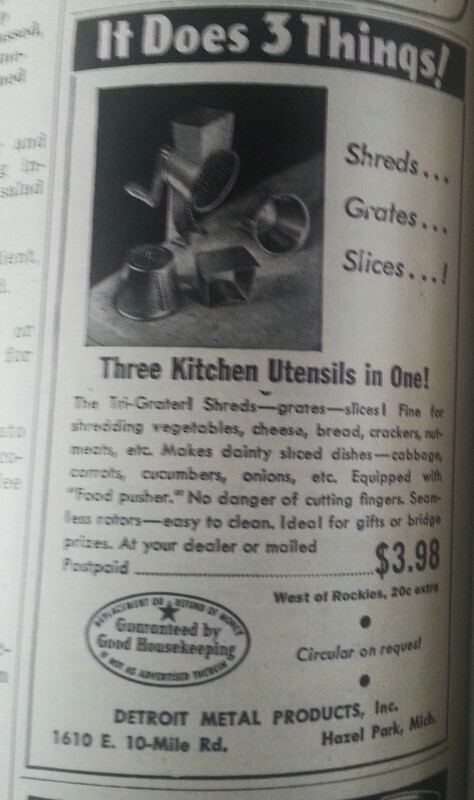 Since today’s film is a short one and my thoughts on it are equally brief, I thought I’d share some vintage kitchen-tool tidbits from my collection. 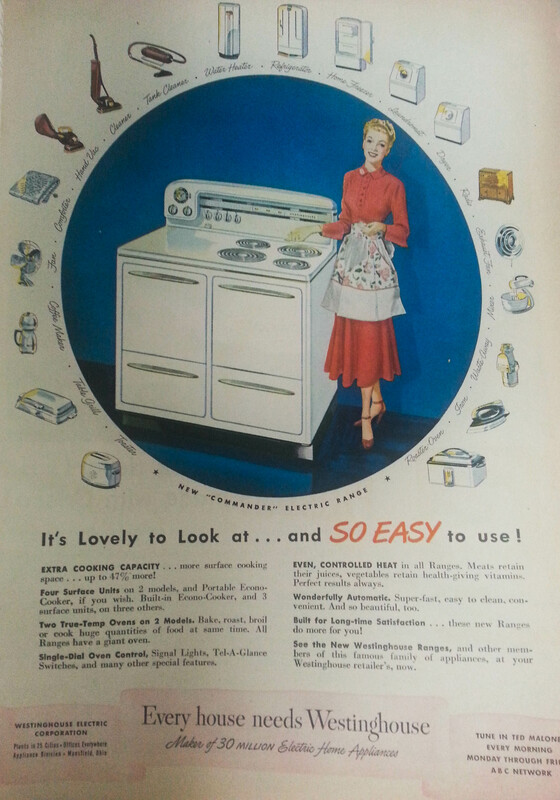 Hamilton Beach remains one of the most popular brands of kitchen appliances. 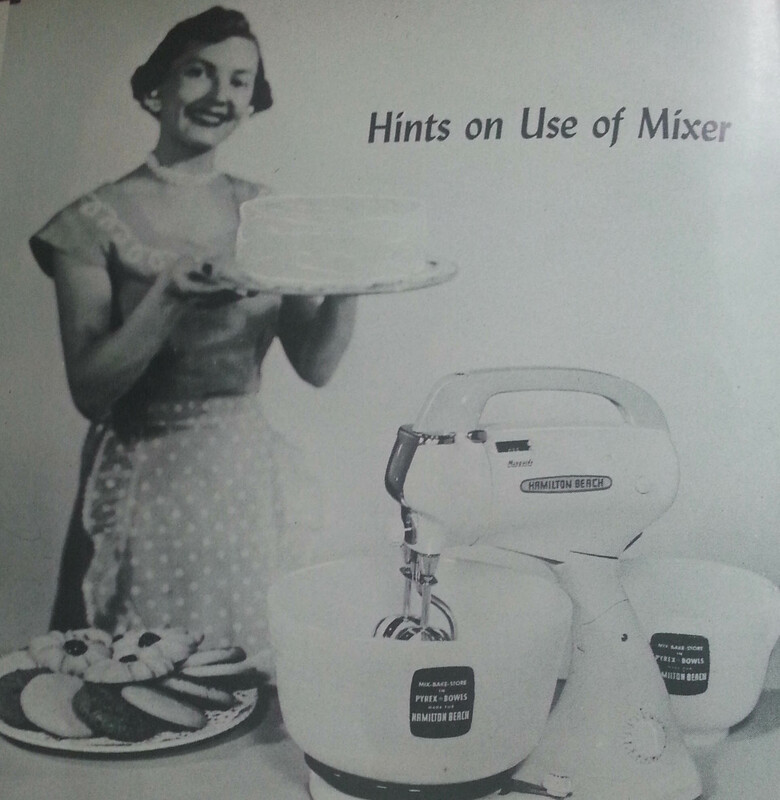 In 1956, when the “Hamilton Beach Food Mixer Instructions and Tested Recipes” pamphlet was published, electric mixers had existed for many years, but had only become popular for home use in the past thirty years or so. 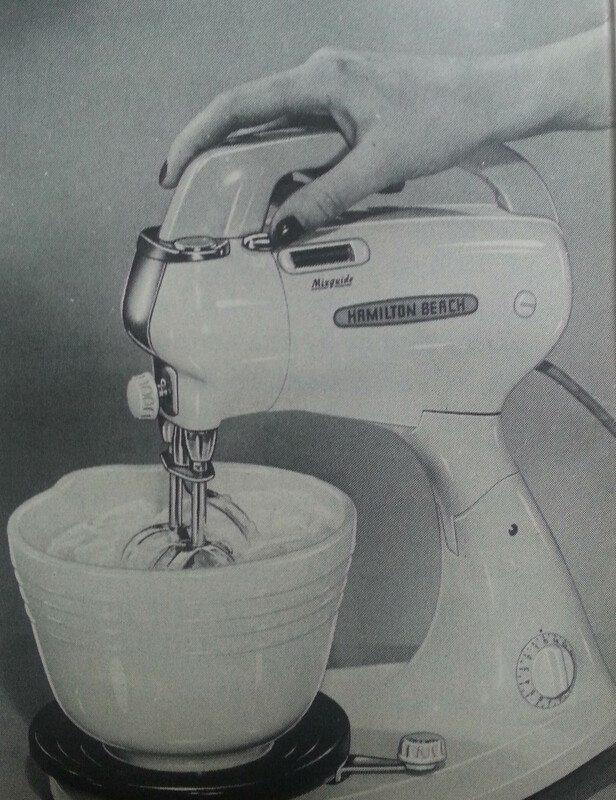 This booklet provides recipes tested on Hamilton Beach’s food mixer, providing exact speeds and other instructions to ensure baking success. 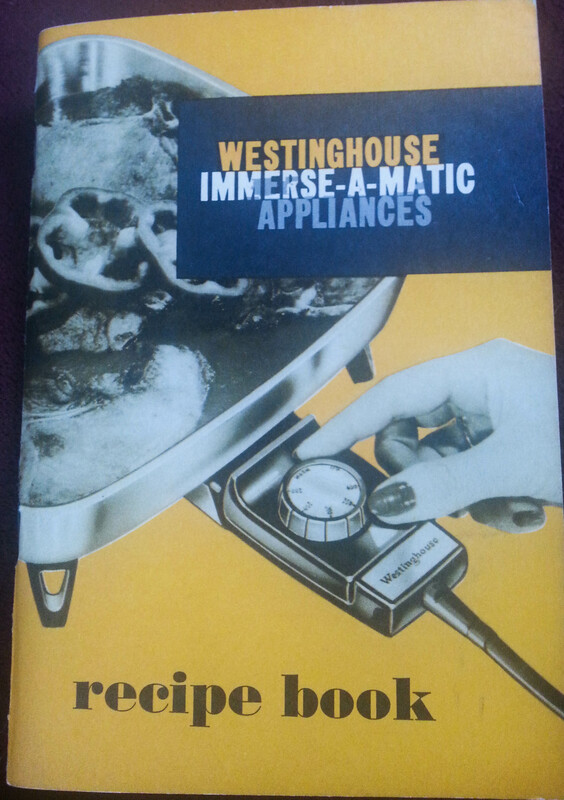 The Westinghouse Immerse-a-matic line of appliances included a fry pan, griddle, dutch oven and sauce pan which were all controlled by the same removable temperature dial, the Immerse-a-matic Control. With built-in “heating elements,” these appliances didn’t require a stove. The user simply needed to plug the control into an electrical outlet and then into the appliance. Feet were attached to the bottom corners of each device in order to prevent it from burning the countertops. 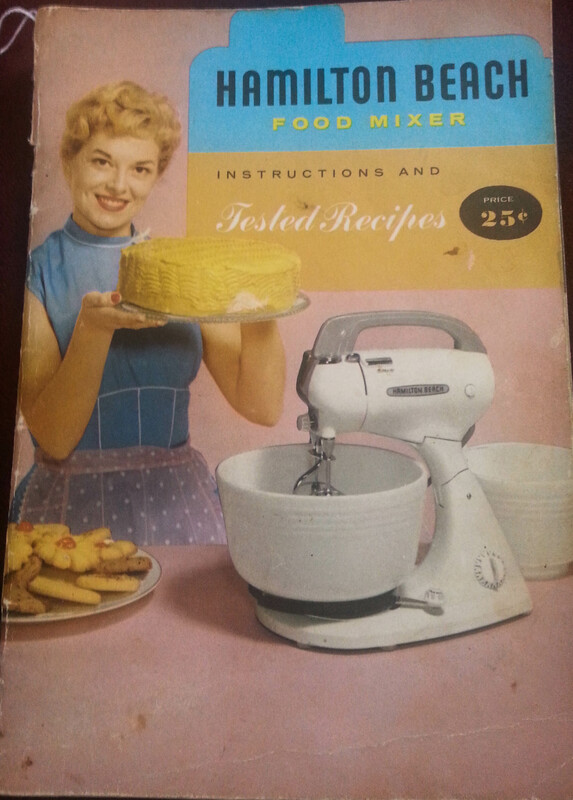 The Immerse-a-matic recipe book was published in 1950, the same year as Delicious Dishes was released.